For the second straight year, the Shapleigh School will celebrate Computer Science Education Week (CSEDWeek). This year's event takes place Dec. 8-12, and all five grade levels at the school will take part in a series of events. The students in Shapleigh's after-school Computer Science Club will lead their classmates in a variety of activities, ranging from snap circuits to Sketchup, and students will also learn about such programs as Tynker, Codecademy, Scratch, Lego Mindstorms NTX, and more. Millions of students worldwide are expected to take part. Last year, the Shapleigh School was fortunate enough to win a $10,000 computer science education grant as a result of its participation in the inaugural CSEDWeek. That money went to purchase three-dimensional printers, snap circuits, Arduino kits, Makey Makey kits, and much more. 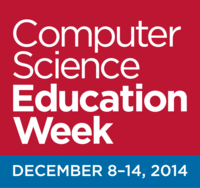 CSEDWeek is an annual program dedicated to inspiring K-12 students to take interest in computer science. Originally conceived by the Computing in the Core coalition, Code.org® is producing CSEdWeek held in recognition of the birthday of computing pioneer Admiral Grace Murray Hopper (December 9, 1906). For more information, visit csedweek.org.